New York City’s immigrant population is at an all-time high, making it arguably the most diverse population in the world. Brooklyn is home to nearly 950,000 foreign-born residents – nearly 40% of the borough’s population. Brooklyn’s increasing diversity reflects the changing face of our country and the strength new immigrants bring to our rich cultural landscape as well as their significant contributions to New York City’s economic strength. Audiences of The Jungle are invited to donate to our official charity partner, Help Refugees through The Jungle Fund. Help Refugees are partnering with Good Chance Theatre, the company who created The Jungle and continue to work with refugees across the world, and The Brooklyn Community Foundation, to support refugees still living in Calais, immigrants in Brooklyn and Good Chance Theatre’s work internationally. For more information and to donate click here. Established in 1978, Center For Family Life is a neighborhood-based social service organization in Sunset Park, Brooklyn. For 40 years, the Center has grown with the Sunset Park community, responding to emerging needs with effective and innovative programs. Today, our comprehensive services in counseling, employment, education, and youth development engage more than 16,500 individuals in 11,000 families each year at eight community locations.  Emma’s Torch is a nonprofit social enterprise that empowers refugees & survivors of human trafficking through the culinary arts. Through tailored culinary training, English classes, and job placement services, we prepare our students for sustainable careers in New York’s finest restaurants — before some of them open their own. Our full-service restaurant in Carroll Gardens doubles as their classroom, and was recently named one of the 100 Greatest Places in the World by TIME Magazine. Freedom To Thrive works to create a world where safety means investment in people & planet and to end the punishment-based criminal and immigration systems. We are building a powerful Black and Brown network, centering youth, nonbinary, and femme leadership. We engage our network in our Prison Industry Divestment Campaign and the Freedom Cities & Freedom Campus Movement to address criminalization and incarceration. 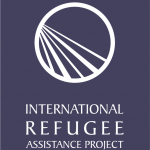 The International Refugee Assistance Project (IRAP) is the legal advocacy organization for refugees and displaced people in need of a safe place to call home. We work with our clients to identify and navigate pathways to safety through free direct representation, policy advocacy, and litigation by mobilizing a global network of law students, lawyers, and local resources. The Legal Aid Society exists for one simple yet powerful reason: to ensure that no New Yorker is denied their right to equal justice because of poverty. For over 140 years, we have protected, defended, and advocated for those that have struggled in silence for far too long – working on the front-lines and behind-the-scenes to offer our clients the exceptional legal services they deserve. Through our Civil, Criminal Defense, and Juvenile Rights Practices, we offer an unmatched depth and breadth of legal expertise to vulnerable New Yorkers in over 300,000 legal matters each and every year. Every day, in every borough, The Legal Aid Society changes the lives of our clients with the help of our supporters. 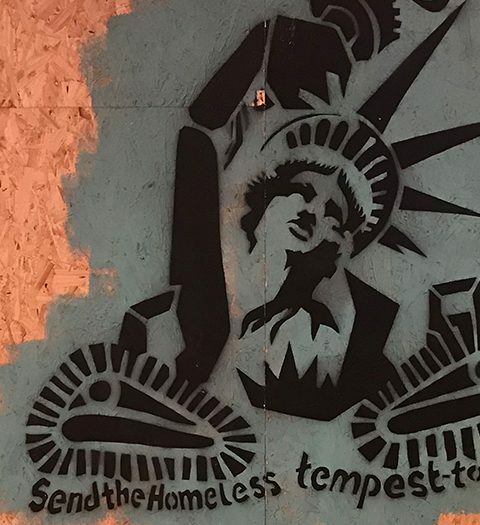 RIF is the only organization in NYC that serves as an entry point and an asylum navigator for all asylum seekers, regardless of their nationalities, sexual orientation, or political affiliation. Over the past twelve years, we have developed a proven model that builds a community of asylum seekers, volunteers, advocates, and attorneys who unite around the causes of immigrant and refugee rights. We also provide hundreds of new arrivals the services and guidance they need to get back on their feet such as pro bono legal consultations, job search tools, education advice, health insurance, and psychosocial support. 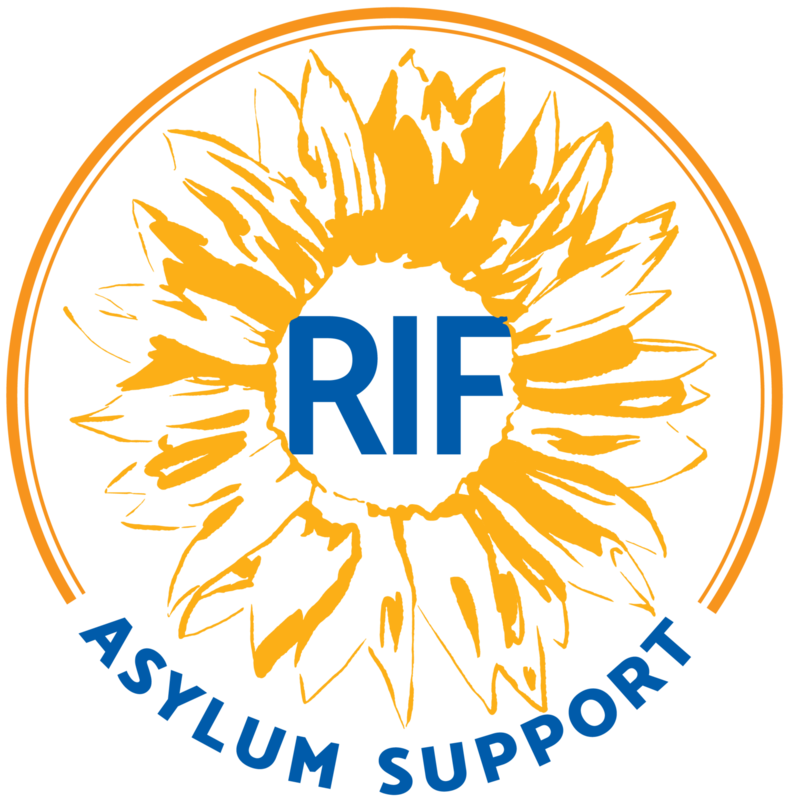 Our specific focus on asylum has enabled RIF to gain an unparalleled depth of expertise and network of partners throughout the city with which to serve our clients in an accessible and accurate manner. 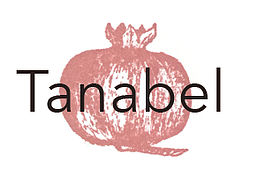 Tanabel is a food and events company that works with refugee women from across the Middle East, preparing and preserving their traditional recipes. Our authentic, generous and delicious meals allow our cooks to share a taste of home with their new community and provide them with meaningful and empowering employment as they rebuild their lives in the U.S. We host pop-up dinners, cater events, teach classes and sell our products at local markets! 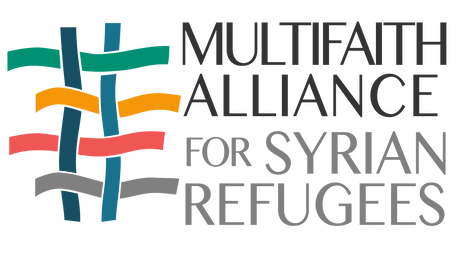 The Multifaith Alliance for Syrian Refugees (MFA) is the nation’s leading interfaith response to the Syrian refugee crisis. Comprised of more than 100 participating organizations, MFA has delivered more than $120 million of humanitarian relief in the past two years. This success has created new and unique opportunities for the dramatic expansion of our relief efforts into northern Syria, where we will continue to work to alleviate the suffering of those in desperate need. MFA’s mission is to mobilize the interfaith response to the humanitarian crisis, create awareness of the facts, needs, and opportunities for positive action, advocate for sensible and humane refugee policies, deliver humanitarian aid and raise funds for direct services on the ground, and cultivate groundbreaking partnerships in the region. Safe Horizon is the nation’s leading victim assistance organization. Our mission is to provide support, prevent violence, and promote justice for victims of crime and abuse, their families and communities. We do this through court advocacy, shelters, counseling, 24-hour hotlines, community programs and more. Safe Horizon envisions a society free of family and community violence. Hot Bread Kitchen is a nonprofit social enterprise that creates economic opportunity through careers in food by training women for culinary careers and incubating food businesses. To learn more, visit hotbreadkitchen.org. The New York Immigration Coalition envisions a New York State that is stronger because all people are welcome, treated fairly, and given the chance to pursue their dreams. We unite immigrants, members & allies so all New Yorkers can thrive. The Arab-American Family Support Center (AAFSC) is a non-profit, non-sectarian organization created in 1994 to provide culturally and linguistically competent, trauma-informed, multi-generational social services. AAFSC empowers new immigrants with the tools they need to successfully acclimate to the world around them and become active participants in their communities. While our doors are open to all, we have gained expertise serving Arab, Middle Eastern, Muslim, and South Asian (AMEMSA) communities. Jesuit Refugee Service/USA (JRS/USA) is an international organization serving refugees and other forcibly displaced people. JRS meets refugees where they are, regardless of their race, ethnic origin, or religious beliefs, providing the services they need to restore their dignity and rebuild their lives. Driven by the values of the Society of Jesus (Jesuits), we envision a world in which the most vulnerable people – those fleeing from their homes – have the opportunity to heal, learn, and determine their own future. Founded by Fr. Pedro Arrupe, S.J. in 1980, in direct response to the humanitarian crisis of the Vietnamese boat people, JRS today works in 52 countries worldwide to meet the educational, health, and social needs of refugees. The Business Center for New Americans, BCNA, supports refugees and asylees with loans, training, and advice to help them start and grow businesses in New York City. BCNA has made over $7,000,000 in loans to over 2,500 businesses started by refugees as well as provided IDA Match Grants for refugees and asylees to invest in micro-businesses, education, re-certification, and home ownership. BCNA was recognized by CNN Business as one of the top micro-lenders in the US and by former Mayor Bloomberg with the American Dreamer Award for improving the lives of newcomers to the city of New York. To learn about other organizations in our community working to improve the lives of immigrants please visit Brooklyn Community Foundation’s Immigrant Rights Fund.